Why are there different pathways? US Soccer has now closed the coaching education pathway to be in compliance with Federations and Confederations around the world. 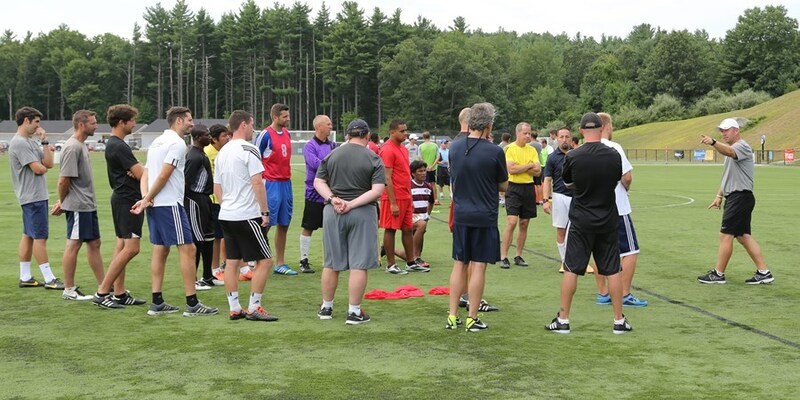 US Soccer is the only entity that can offer a coaching education License. A License typically means that there is pass – non pass element to the course. United Soccer Coaches offers courses to aid with the transition to US Soccer’s Player Development Initiatives. The courses are designed for coaches coaching players playing 4 v 4 format, 7 v 7 – 9 v 9 format and 11 v 11 format. Pre-requisites exist for the Advanced National Diploma and above. We recommend that courses be chosen based on the playing format of the children being coached. US Youth Soccer currently offer the National Youth Certificate which is a stand-alone award and recommended for coaches of players 12 and younger. Begin with the end in mind. Where do you want to go with your coaching experience? All of the coaching education pathways offer excellent information pertinent and relevant to the age of the children you are coaching. Coaches with little or no experience may begin their educational journey by beginning with the 4v4, 7v7/9v9 or 11v11 diplomas. Coaches with significant playing experience and/or coaching experience may begin with the National Diploma.